Did you know fragbox carries the entire aquaforest line? Well if you didn’t you do now! And we ship aqua forest right across canada. 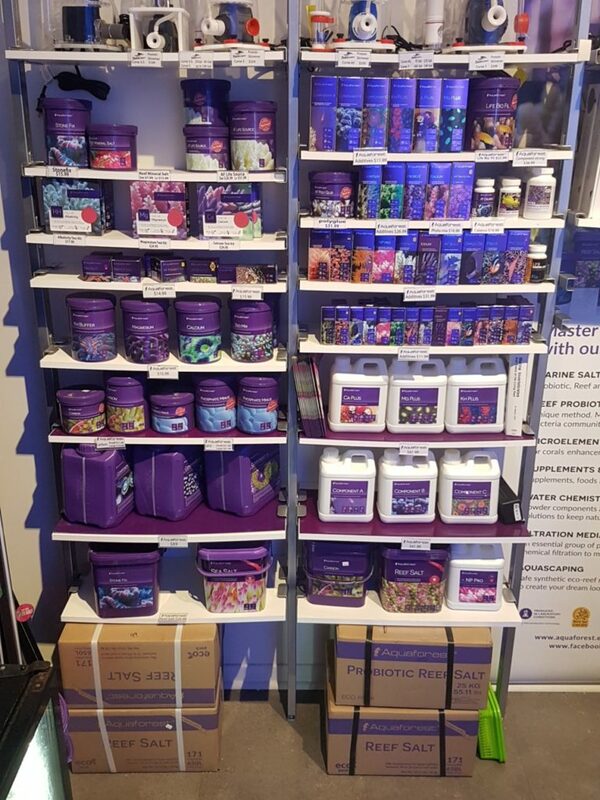 Aquaforest is a high quality line of reef aquarium supplements from Poland. Yes, thats right, Poland! And I can tell you from personal experience the line is worth importing from Europe for a number of reasons. Although aquaforest popularity online and in reefing stores across Canada didn’t begin until early 2017, the company was established in 1995. It was well known in Poland and across Europe for years but has recently made moves in north american markets. They company professional quality aquatics products and high quality reef salts. They spend quite a bit of time and money on research constantly improving recipes and products. The system has often been compared to a zeovit system but less expensive. I have found you are able to achieve better coral color and growth that zeovit. Zeovit gives corals a starved, pale and bleached look in my opinion as where aquaforest you can achieve deep and rich coloration of many corals. There are 3 kinds of aquaforest salts offered in Canada. Sea salt, which is good primarily for fish only tanks. Reef salt which is the most popular and well balanced salt for reef aquarium and my personal favorite and probiotic salt. The reef salt is my favorite brand of salt for a few reasons. Batch to batch its consistent. I also prefer the aquaforest additives over other ones like zeo because they are more straight forward. For example zeovits popular coral vitalizer doesn’t list any ingredients. As where with aquaforst they offer strontium, potassium, boron etc. You can dose specifically what you think your tank needs instead of snakes oil in a bottle. Aqua forest has also released some really high quality and unique test kits in Canada. We have recently switched over to their magnesium test kit after using salifert one for 10 years. I could talk about the company and products all day. Feel free to drop by the store to discuss more or shoot us an email.